Throughout history, mankind has been on the hunt for ways to look, feel, and stay young. There are many myths surrounding the concept of the “fountain of youth.” Fortunately, science is quickly closing the gap between myth and reality when it comes to generating a youthful appearance combined with actually feeling younger. One of the latest treatments leading the charge is stem cell therapy. Stem cell therapy is the process of injecting or applying the stem cells to the skin and other tissues depending on the reason for treatment. There are multiple types of stem cells, but the type used for aesthetic treatment is the Mesenchymal stem cells (MSCs). These cells are stromal cells that can grow into specialized cells. This process is known as cellular differentiation. The reason why MSC’s can do this is that they are pluripotent. This allows them to become cells that produce collagen or support cells for skin enhancement in addition to other cell types. Besides skin enhancement, new studies have arisen that indicate we’re on the cusp of a new frontier for improved sexual health and weight loss management thanks to stem cell therapy. Results are still mostly in their preliminary stages but have shown great potential for the future for men and women. Stem cells have been used to treat various medical conditions such as arthritis or to regenerate breast tissue. It has even famously been used to clone sheep. However, as an option for aesthetic treatment, the advances have been more recent. Due to this, FDA approval has been limited. In June of 2011, after about 10 years of study, the FDA finally approved personalized cell therapy for the elimination of fine wrinkles and the nasolabial folds around the nose and mouth. Since then, more treatments have been approved but continues to be an ongoing process as more research is done. As the research continues to grow, we can expect more from stem cell therapy as a popular option for aesthetic medicine. This is especially likely considering the noted effects of using stem cell treatment therapy to enhance other approved procedures such as microneedling. Recently, researchers have begun to explore the benefits of stem cell therapy for sexual health issues for men and women. For men, the largest concern has been erectile dysfunction while for women the focus is on vaginal rejuvenation. It is considered to be standard for weight loss attributed to a combination of diet and exercise. However, researchers have been baffled on why some people respond easier than others to changes in their routine. Due to the regenerative effects noted in stem cell therapy for other health concerns, an exploration into its effect on weight loss and obesity is being studied. One thing to make note of is that while initial findings are promising, the use of stem cell therapy for sexual health or weight loss is still in its infancy. Clinical trials have occurred for men with erectile dysfunction. Ongoing research is needed to both refine the process and hone in on expected results with stem cell therapy as a treatment. Continue reading to learn more about stem cell therapy for aesthetics, weight management, and sexual health. Plus, you will find out how you can get started with stem cell therapy today. 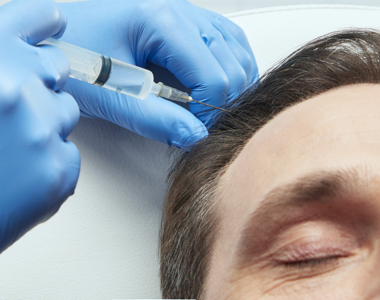 With this procedure, MSC’s are introduced to the treatment area via injection or application to the skin. This is done after a laser or microneedling treatment. 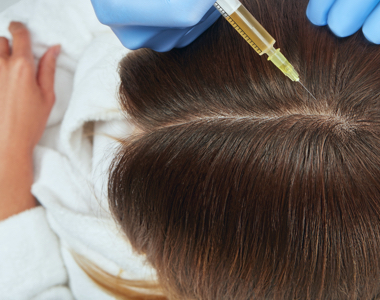 The key with this procedure is that injection material contains growth factors along with other cellular materials to help assist with the body’s regenerative functions. While still relatively new, the possibilities behind this treatment are vast. One of the hallmarks of aging is the inability to maintain the body’s regenerative abilities. That’s why children heal so much faster compared to adults. With this treatment, managing your appearance as you age is at your fingertips thanks to your body’s natural ability to regenerate. Weight loss management continues to be a challenge for researchers to agree on. While there have been multiple advances in the treatment of obesity and weight gain, most treatment is still considered to be lacking in results. This is partly due to the differing responses each person has to treatment. One standard treatment for weight loss management would be appetite suppressants, but that’s not for everyone. Due to this range in effectiveness, researchers are turning to regenerative possibilities to get a handle on weight loss management. Gaining in traction, the use of stem cell therapy has delivered promising initial results for the treatment of obesity and as a weight loss solution. Stem cell therapy looks to treat the problem of obesity at the source instead of just treating the symptoms. Every person has different metabolism and hormone levels. In addition, some patients may find themselves with a hormonal imbalance that not only requires treatment but also can result in weight gain. Over time, stem cell treatment therapy has improved metabolic functions in individuals. The key to this treatments success lies in boosting a person’s natural regenerative abilities to restore optimal hormonal and metabolic function. One thing that is important to note for potential patients of this treatment. Despite the growing popularity, the use of stem cell therapy for weight loss is still new. Further research is needed before it becomes more widely available. Consulting with your physician can help you determine if you are a candidate for this treatment method. For both men and women, sexual function starts to decline once they hit their 50’s and above. Some individuals may experience this decline or suffer from sexual dysfunction earlier in life. This decline is considered to be natural, but that does not mean that it’s desirable or occurs at a rate considered normal for that individual’s age. The reason why decline occurs is due to atrophy within the body, cells, and its functions. That’s why researchers are working hard to find ways to turn back the clock and optimize a person’s regenerative abilities. Some treatments such as the O-Shot and the P-Shot offer restorative properties but to a limited extent. Fortunately, there is another solution on the horizon for people looking to improve on their sexual health. While still very new, stem cell therapy is leading the charge for the treatment of sexual dysfunction from a regenerative standpoint in both men and women. Below is a breakdown by gender of the areas of concern that stem cell treatment therapy looks to treat. At this time, stem cell therapy as a treatment to address sexual health concerns remains largely experimental. While there have been successful clinical trials for men and women, it is not considered to be as widely available as other treatments, especially in light of potential controversy concerning the source of the required stem cells. As research develops, it is expected that stem cell therapy will become a more standard treatment. This is largely thanks to the reported regenerative nature of such treatment. Unlike other treatments that involved introducing foreign chemicals or substances, stem cell therapy has no direct side effect. Stem cells are harvested directly from the host body. The possible issues mentioned above can be greatly controlled by a qualified practitioner of stem cell therapy treatments. Just like a skin or organ transplant there is always the risk of the procedure not taking. Science continues to develop and create treatments for a range of concerns that were previously unavailable even ten years ago. While the use of stem cells has grown overall, researchers are still identifying new fields of application for this treatment. Unmatched in its potential for regenerative abilities, stem cell therapy is most likely here to stay as research continues. Finding an expert is as simple as visiting our online community. With AgeMD, valuable information detailing stem cell therapy as well as qualified practitioners for this treatment is at your fingertips. Keep in mind that your health and safety comes first with any treatment. That’s why our mission is to give consumers control over their health by getting them connected with practitioners that are licensed, verified experts focused on stem cell therapy. The final cost depends on several factors such as practitioner choice, the area of treatment, number of treatments needed, and geographic area. Due to how new stem cell therapy is, you may need to travel to find a practitioner. This can influence your overall cost. How many sessions of Stem Cell Therapy will I need? Your individual goals, starting point, and treatment area will determine how many treatments you need to see the results you desire. That being said, stem cell therapy is still new enough that standardization of treatment amounts has yet to be determined. Your best option is to consult with your practitioner of choice to determine a regimen based on your goals and needs. Your practitioner will determine the best course of action. How long is the recovery time with Stem Cell Therapy? Similar to other minimally invasive procedures, there is virtually no recovery time needed after stem cell therapy. Most people are able to resume regular activities the same day they get treatment. However, injections are still involved with this treatment method. Some patients may experience side effects that can affect recovery time. Go by how you feel and which side effect you’re experiencing to determine if you need to take additional time before resuming your regular activities. How quickly will I see results from Stem Cell Therapy? For treatment of the facial area, results can be seen in as little as a few weeks. Most results are not evident until approximately 3-6 months after treatment. Individual response may affect these estimates. Consult with your practitioner if you believe you’re not seeing results quick enough from your facial treatment. For weight loss management and improving sexual function, the response time is less specific. Compared to other more mainstream treatments, this treatment has not been around widely enough to establish a true baseline. Consult with your practitioner to learn what you should expect. How long will my Stem Cell Therapy results last? Stem cell therapy is designed to naturally last longer than traditional treatments. As a result, regardless of your treatment area, you can expect a minimum of one year for results to last with some patients experiencing 1-2 additional years between treatments. Keep in mind that individual response to treatment, healing ability, and starting point will affect how long your results last. Most patients schedule routine maintenance treatments to avoid seeing their results fade. If you’re concerned about how long your results are lasting, consult with your practitioner to determine if you need additional treatments beyond what was originally planned.